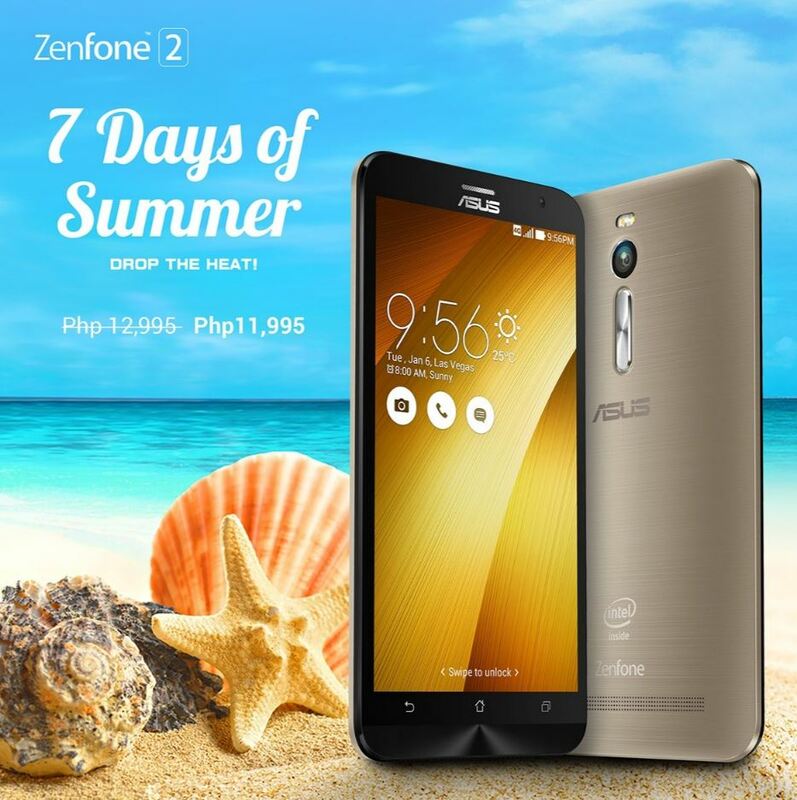 ASUS Philippines is all set to offer this season’s hottest deals, what with the special “7 Days of Summer ZenFone Promo”. The heat is definitely on as ASUS allows you to make the most out of your summer budget with incredible price discounts on some of your favorite ZenFone models, such as the ultimate traveler’s dream smartphone: the ZenFone Max (ZC550KL); the hot-shot smartphone that still keeps turning heads: the ZenFone 2 (ZE551ML); the surefire smartphone that nails those “instagrammable” selfies: the ZenFone Selfie (ZD501KL); and the best-value handy smartphone that can really splash some color and fun to your summer: the ZenFone C (ZC451CG). ASUS ZenFone Max (ZC550KL). 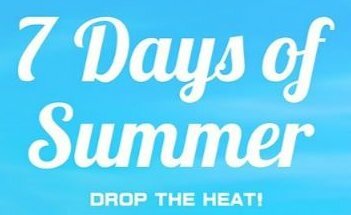 Max Energy, All-Summer Long! Throw those worries and concerns about your smartphone’s limited battery life out the window, and maximize your summer spirit that packs an incredible 5,000mAh battery capacity. Enjoy long-lasting 3G talk time of up 37.6 days; or 32.5 hours of web browsing over WiFi or more than 22 hours of video playback wherever you go this season, all for a special price of PHP 7,995.00. The world’s first-ever smartphone to feature 4GB RAM, continuing to marvel the tech-savvy with its unprecedented performance, making it the perfect smartphone to enjoy uninterrupted and smooth game play this summer. Whether it’s beating the heat at home or hanging loose by the beach, this smartphone can definitely transform those dull days to an even more action-packed summer! And with a discounted price of PHP 11,995.00, the 32GB ZE551ML is definitely this season’s biggest steal! ASUS ZenFone Selfie (ZD551KL). More Snap-Happy Summer Moments making sure you're winning the selfie game. Widely regarded as the ultimate smartphone for selfies and for other photos, the ASUS ZenFone Selfie (ZD551KL) packs a twin 13MP PixelMaster camera and a dual-color, dual-LED Real Tone flash for both its front and rear cameras. And with a special summer price tag of just PHP 10,995.00, ASUS Philippines gives beach bums and travel junkies alike the chance to capture even more incredible memories this season. 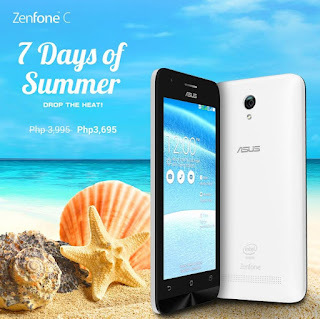 Making a style statement and standing out this summer won’t be a problem with ASUS Philippines’ best value smartphone to date. Available in four fashionable, vibrant colors, this lightweight smartphone marvel is designed to match your unique style this summer, while also being ideal for superior everyday performance and use between personal needs. 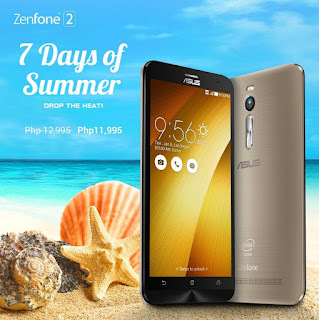 The ZenFone C is up for grabs for a very budget-friendly price of PHP 3,695.00. 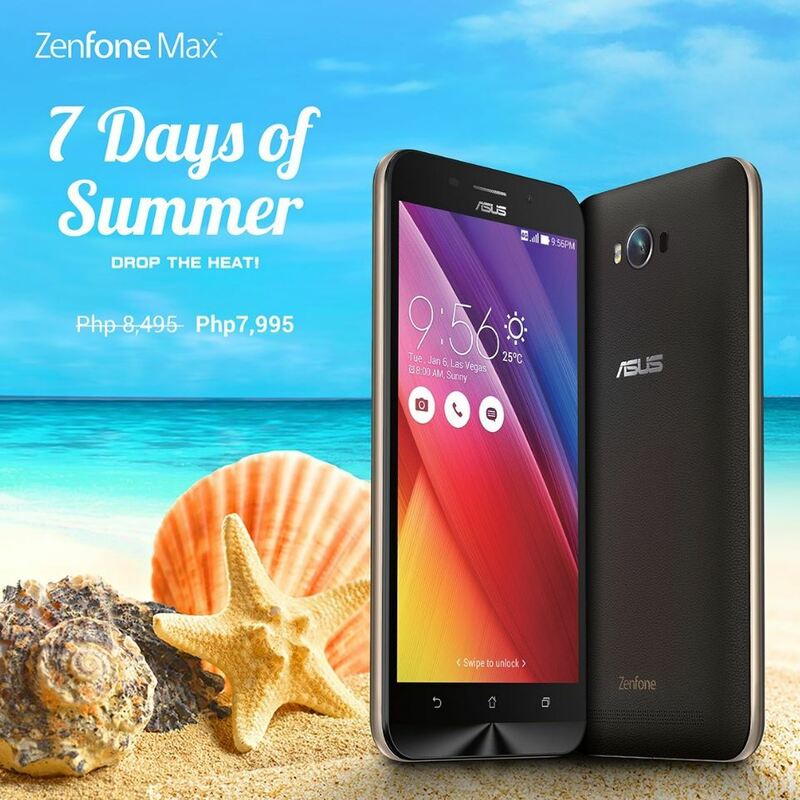 The 7 Days of Summer ZenFone Promo is currently running in all authorized re-sellers nationwide at the following price points: ZenFone C (PHP 3,695.00); ZenFone Max (PHP 7,995.00); ZenFone Selfie (PHP 10,995.00); and ZenFone 2 32GB (PHP 11,995.00).